This week I popped up in Issue 18 of Simply Sewing magazine, as part of a feature on sewing for the home. 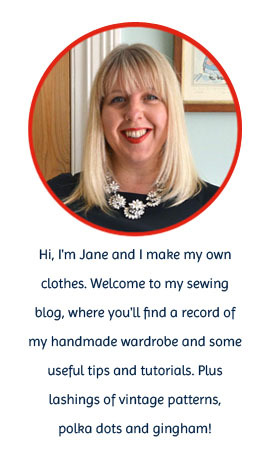 Although my main sewing focus is usually dressmaking, I've enjoyed sewing a few quilts and cushions over the years, so I was thrilled to be featured. 2016 was the year I actually completed a quilt for myself (previous quilts had all been for family members). I always knew I'd enjoy having a quilt of my own, but what I wasn't prepared for was just how attached I'd become to it. It is, without doubt, my most precious sewing creation and I absolutely love it. I was never the kind of child who carried a blanket everywhere Linus-style, so I don't know where this mad quilt-love comes from! It might just be the warmth and comfort a quilt brings that makes me feel like this, I don't know. What I do know is that wrapping myself in my quilt makes me happy. Problems lessen and worries become fewer - it sounds ridiculous but that's how it makes me feel! I never tire of looking at the colours and textures. And the stitches! I love looking at the stitches! Who would have thought that sewing a few squares together could give me such pleasure. I'll never be a serous quilter - I'm far too impatient - but I do quite like the process, so I've decided to make another quilt for the home, this time for the guest bedroom in the loft. Cutting and sorting the fabric will be the perfect summer occupation and sewing the quilt together can be a project for the autumn. My grand plan for the quilt top is to use Liberty prints. Unlike other fabrics, I never get rid of Liberty scraps, probably because the fabric is so expensive in the first place, but also because I love the prints so much. I've sewn with Liberty Tana lawn quite a lot, so have accumulated a reasonable collection of offcuts over the years - enough for a decent sized quilt anyway. I was inspired by this Striped Throw from The Liberty Book of Simple Sewing (reviewed here). Obviously I don't have great long strips of fabric to use, so mine will be patchwork squares, but I do like the fact that the quilt features lots of random prints. Liberty prints all seem to work effortlessly together, so I'm using this as my starting point. I may have to buy a few lighter colours for contrast, but hey, that's no great hardship! Wish me luck! Quilts are definitely full of memories and comfort. When I went to see my day-old grandson in hospital I was really touched to see that his mum had taken with her the quilt I made for my son a few years ago. Lovely that she found some comfort from it after the trials of childbirth. You're not alone in being attached to your quilt. It could be its because of all the work you put into it and also a scrappy quilt can bring back lots of lovely memories. I'm hand quilting a quilt for my daughter. It's only made of squares with a couple of borders but I've made a template of her hands so I can stitch her handprints all over it. You can't buy that kind of thing in the shops. Good luck with your new quilt. PS I got so distracted thinking about quilts that I forgot to mention how much I love the idea of a Liberty strip quilt! The one in the photograph is AMAZING! Excited to see yours!